Home / Celebrity / DJ Zinhle / Local / DJ Zinhle: Kairo does NOT have a Twitter account! DJ Zinhle: Kairo does NOT have a Twitter account! While baby Kairo has easily become everyone’s favourite celeb kid, it comes as no surprise that someone would cat-fish the 3-year-old to gain some likes and retweets. 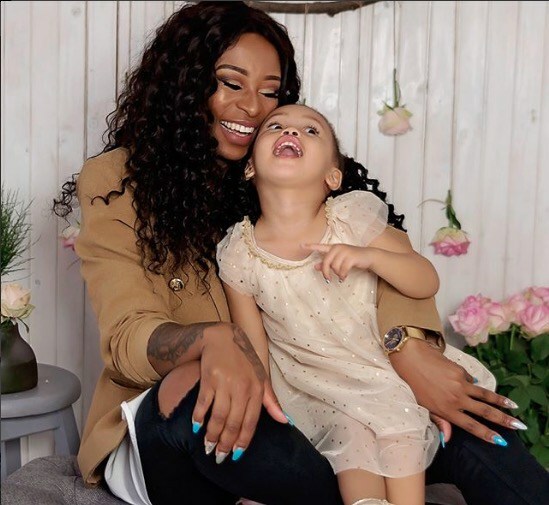 Taking to Twitter to address the issue, DJ Zinhle revealed that Kairo was too young to have a Twitter account and that she would not be getting one anytime soon. “KAIRO does NOT have a twitter account. The girl only learnt how to count to ten recently, it’s gonna be a while before she can spell/tweet,” she tweeted. Although the toddler does have an Instagram account that has an impressive following of 221 000, her mother revealed that the Instagram account was run by her grandmother, Glammy whose real name is Lynn Forbes. KAIRO does NOT have a twitter account. The girl only learnt how to count to ten recently, it’s gonna be a while before she can spell/tweet.